What Cut of A Diamond Has The Most Sparkle? The most magnificent feature of a diamond is it’s brilliance—also known as the “sparkle.” In fact, the brilliance is what sets diamonds apart from other gemstones. Whether you place these precious stones in a solitaire ring setting to draw attention to the hand, perch them in a chain around the neck, or dot the earlobes as twinkling star-like studs, the beauty of diamonds is reflected in the light that it captures. While all diamonds sparkle, some cuts capture the spark of each ray of light better than others. So what cut of diamond has the most sparkle? Buyers need to understand how and why a diamond sparkles in order to appreciate the features that make some shapes the best choices to set off these white flashes of light. 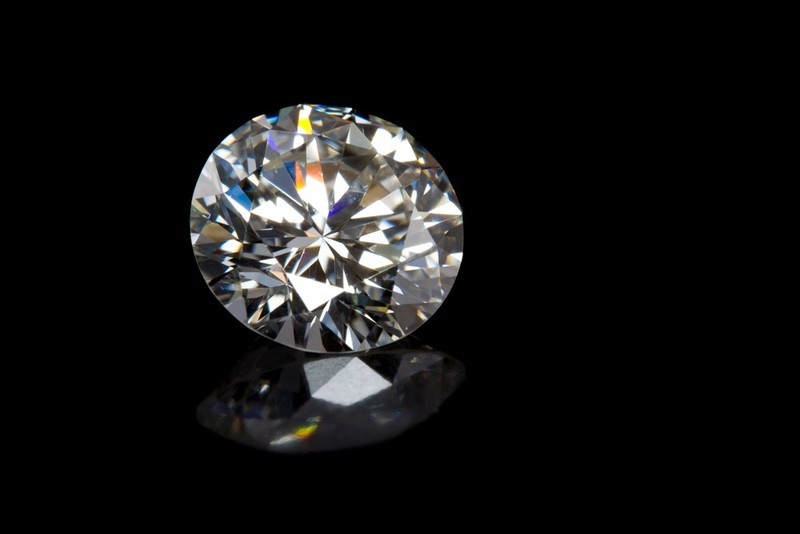 Aside from their unique crystal structure, diamonds sparkle because of their facets, which are the flat surfaces cut into the surface of the stone. Facets act like mirrors, bouncing light to create that magical twinkle that so distinctively defines diamonds as we know them. Some facets are perfect mirrors, sending back brilliant white light. These facets are small and numerous. Others are fewer, larger, and more like prisms, splitting the light into different colors. Generally speaking, the more facets cut within the stone, the more it will sparkle. There are actually several cuts of diamonds that were designed to optimize the sensational sparkle that wearers hold so dear. Brilliant cut diamonds were designed to have the most facets and the most sparkle. Of these, the modern round brilliant diamond cut is the most popular. With 57 (sometimes 58) facets, the classic round shape paired with numerous facets grabs the light better than any other diamond shape. Specifically engineered for this purpose, these modern round brilliant stones exhibit the most brilliance possible, and even adding additional facets does not actually improve the brilliance. But the number of facets is only one part of the sparkle equation. The quality of the cut and the distribution of facets also affect the brilliance of the diamond. 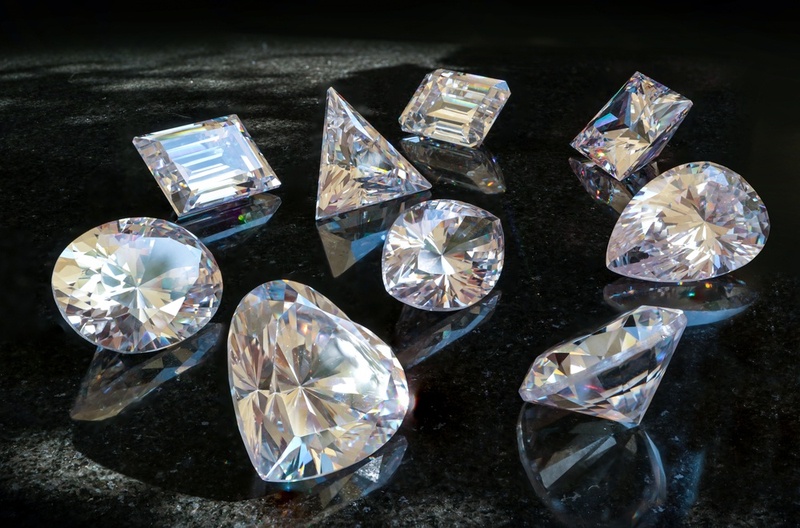 Per the Gemological Institute of America (GIA)—the foremost authority on diamond certification—the beauty of the diamond will be diminished if the facets are poorly spaced. An even distribution of facets combined with the proper measurements ensures that there are no dark areas within the diamond and that light is reflected throughout the stone. How does the everyday buyer know that their diamond has evenly placed facets and well proportioned measurements? Ask about the diamond’s cut grade. And definitely ask to review the diamond’s certification. 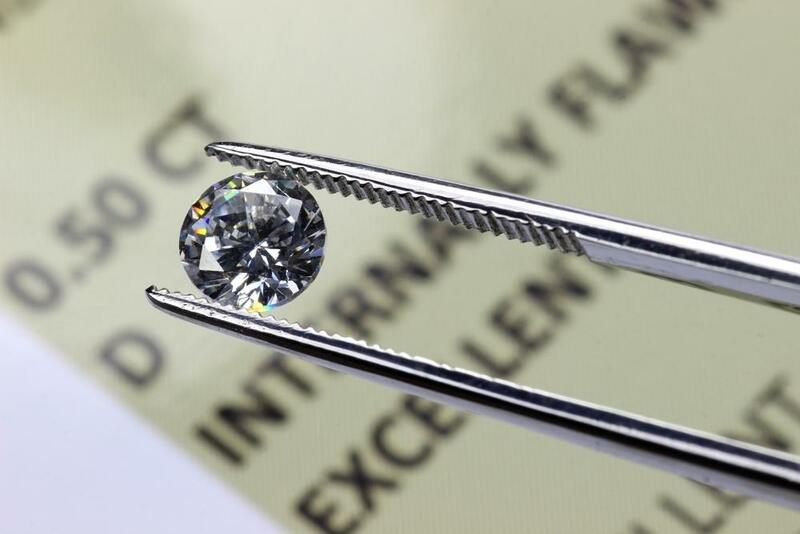 All round brilliant diamonds receive a grade describing the overall cut of the stone. An ‘excellent’ or ‘very good’ cut grade means that the diamond has little to no dark areas—and that means lots of sparkle! However, a ‘good’ cut will have more dark areas within the stone. 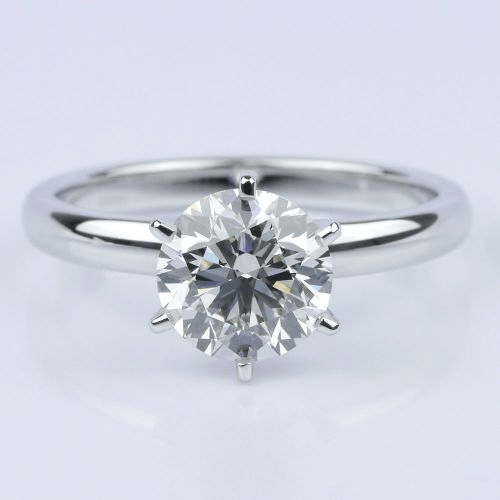 Even with a round brilliant shape, the cut quality will affect the sparkle of the stone. Definitely avoid a diamond with a ‘fair’ or ‘poor’ cut grade if you want sparkle! Other diamond shapes do not receive an overall cut grade, so look for ‘excellent’ or ‘very good’ ratings in the categories of Symmetry and Polish, two factors reflecting the quality of the facets and cut. Of course, once you find the diamond with the best cut and shape to display your desired brilliance, you need to show it off! For buyers who want the most sparkle possible, make sure your diamond is in a setting that lets in light. While bezel settings are modern and clean, they cover up most areas of the diamond. For true sparkle, choose prong settings with solitaire rings. Six-prong settings mimic the classic Tiffany look, while four-prong settings show more of the diamond. Another way to add more brilliance? Add more diamonds! Opt for a diamond halo around your central diamond. 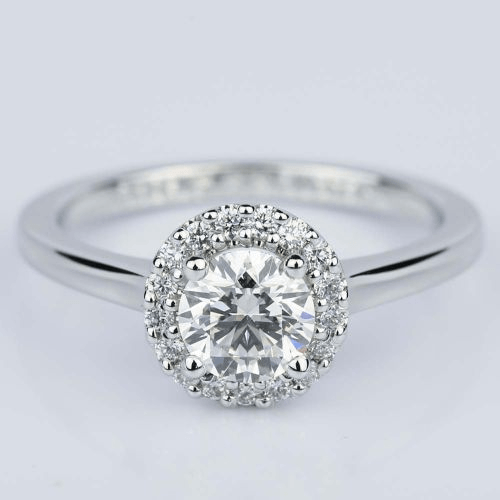 The numerous small diamonds in the halo will reflect light back into the main stone and add even more sparkle. Finally, you can maximize the brilliance of a diamond by setting it in white gold or platinum. The bright white metals double as mirrors, sending more light through the diamond and more brilliance to your eye. And there you have it! To get a diamond with the most sparkle, choose a brilliant diamond cut with an excellent grade. Display it within a classic prong or halo setting in a white metal for an outrageous spark of brilliance.